Outer diameter Φ38,flange diameter Φ20,flute type incision. Shaft size Φ6×14,SE or PE coupling can be choosed. 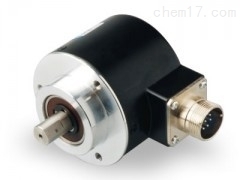 PIB6-1024-G05E is shaft diameter Φ6,1024P/R,side entry cable,supply voltage 5V,voltage output.